Believe it or not, there are benefits to almost drowning. For artist Charles Williams, near-death experiences — three of them in total — have brought him closer to God and taken his career to another level. Since having encountered the "white light," he's been continuously facing his fears. Part of that involves staring at blank canvases and then covering them with ocean scenes and self-portraits that capture his confrontations with water. 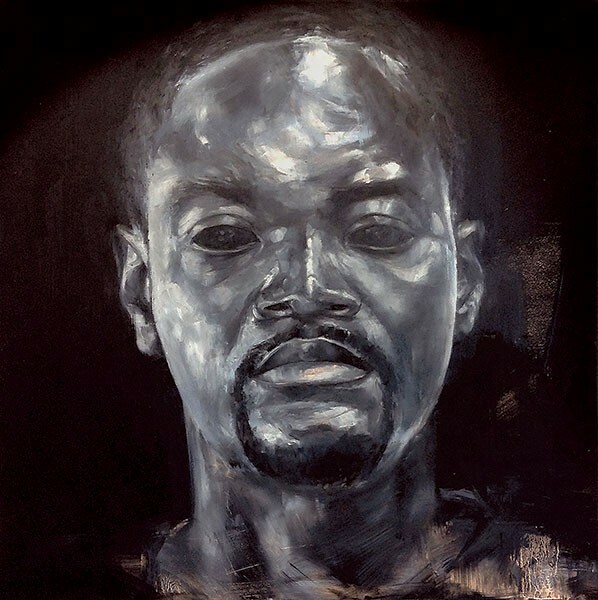 Williams' works are coming to the Q.C., where you can see them in two parts of one series called Continuum. The first part is his "Night" collection, which showcases at Central Piedmont Community College's Ross Gallery as part of Sensoria, the college's annual artsy multidisciplinary festival going down from April 8-17. Other highlights from Sensoria include authors Amy Bloom, Ben Marcus and Amelia Morris, who will discuss their literary works, in addition to theater performances (like Rosencrantz & Guildenstern Are Dead) and music from the likes of composer and "hip harpist" Deborah Henson Conant. But in terms of visually compelling components, Williams is the fish out of water. Over at New Gallery of Modern Art his "Day" series will also be on view through May 15. 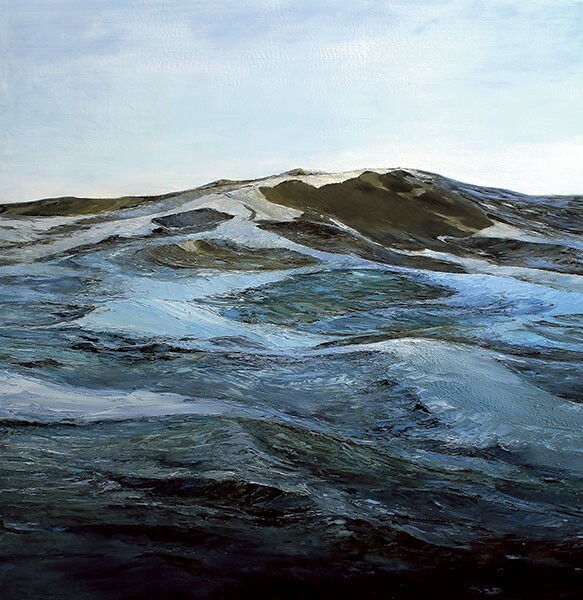 Both parts of the series of works display his desire to face his fears by painting the ocean, where every wave and ripple seems to represent the unknown. The exhibit at CPCC, which runs April 11-14 with a lecture and reception on April 14, also gives visitors the chance to face their own fears. Folks are encouraged to write their fears out with chalk on a black board that will be mounted on the wall. Meanwhile, Williams' own works, created in part by his own psychological explorations, line the surrounding walls. The first time Williams nearly drowned was when strong ocean currents pulled him underwater on a family vacation at Myrtle Beach, South Carolina. On another occasion, he nearly drowned after venturing out too deep in a swimming pool in Tampa, Florida. As he was struggling to find his way to the surface, he felt as though something pulled him up out of the water. But when he reached the top, he was alone and petrified. His last, and most recent, encounter came as the product of a rafting trip in Asheville, North Carolina. When his tube flipped over, he was left clinging to a rock, which triggered a panic attack. He was rescued by a stranger who helped him to get to shore safely before disappearing. Whether you call it divine intervention or luck, the fact Williams has escaped drowning three times seems to be remarkable. In addition to strengthening his faith, the experiences helped him hone in on his craft and find new ways to deepen the conceptualization of his art form. Though Williams painted some landscapes before his watery encounters, he devoted himself to oceanscapes afterwards. At both exhibits, there will also be a screening of a short film that Williams made. In it, he talks about being baptized when he was 16 years old and how it didn't seem significant to him at the time. "In terms of being renewed and a spiritual rebirth, I didn't feel it at that point but having those experiences taught me and also showed me that there is something out there," Williams says. But the experience did more than deepen his faith. Williams also believes that it helped to give him a purpose in life. By finally owning up to his weaknesses, including the inability to swim, he's heightened his self-confidence. He admits to using art as a form of therapy. Currently, Williams is working on his Masters degree at the University of North Carolina at Greensboro. He compares going to school to being in the ocean, since there are various facets of the unknown tied into the future. He takes frequent trips to beaches where he takes day and night photos that he later paints. In the past, Williams has also explored stereotypes, including one that revolves around black men in the South not being able to swim. He incorporated Nike sneakers into a past collection of beach paintings, though you won't find the pumps in his current body of work. "I've had to be vulnerable enough to accept that I can not swim. Yes, I'm 32 years old and I'm a black male from the south. For me, that show in 2015 was a coming out show, an acknowledgment of fear and then Continuum is what's next," he says. "I want this to be, for me, a life long lesson and then I also want it to be an example to others that this [creative process] can flow and be a progressive step towards becoming better through fears or anxieties." In pieces like "Big Gulp," you'll see a muscular, adult Williams wearing inflatable armbands aka swimming floaties. For him, wearing these are another way of showing his vulnerability. "I feel stupid in a life jacket because I'm not a kid," he says. "I'm an adult, so I feel like I stick out. But, I know it's important to wear them." By studying the water and learning to paint it, Williams believes he's progressed in life and as an artist. "When I feel like I don't want to paint water anymore, then that's when I'll take swimming lessons."